On April 9th 2019 the world commemorates the International Equal Pay Day. This date indicates the amount of additional days women on the average need to work in 2019 in order to reach men’s average salary in 2018. 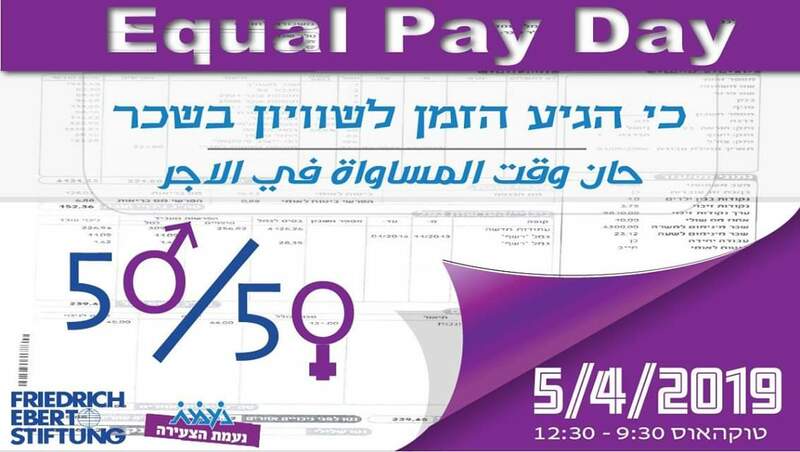 Currently, in Israel the difference between the hourly rate of men and women is 17% while the monthly rate gap stands for 34%. These facts indicate that the gender pay gap is a complex problem that requires fundamental changes. 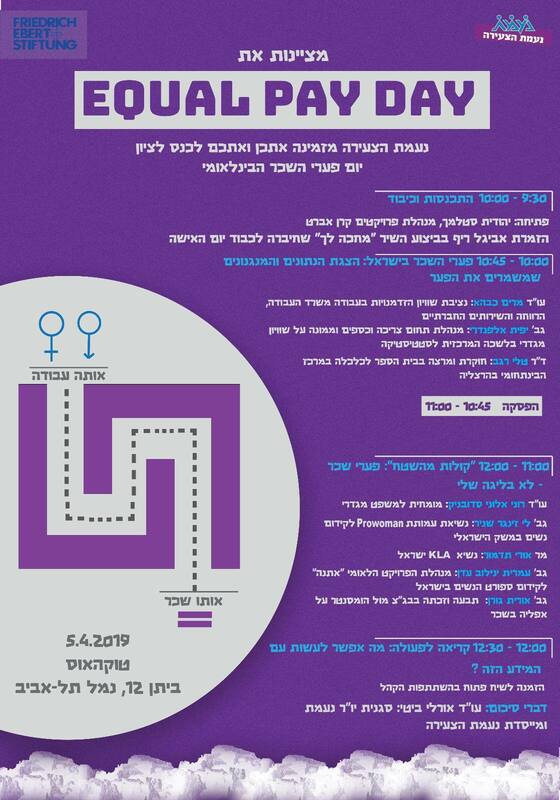 Come to our event organized in cooperation with our partner Young Naamat on April 5, 2019, from 09:30 A.M.-12:30 P.M., at the Talkhouse, pavilion 12, Tel Aviv Port. Dr. Yafit Alfandari – Expert in Social Economics, Poverty, Equality and Gender. Dr. Tali Regev – Researcher and lecturer at the Herzliya School of Economics. Adv. Mariam Kabaha – National Commissioner for Equal Opportunities at the Ministry of Economics and Industry. Uri Tadmor – President of the Israeli branch of KLA- Tencor. Orit Goren – Sued the Home Center chain for allegedly violating her rights, in light of her being a woman, in violation of the Equal Wage and Work Law and the Equal Employment Opportunity Law.